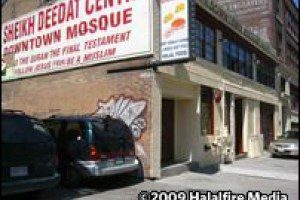 Toronto Star obfuscates Jew hatred:Islamophobia in action? So much Jew hatred. From the CBC and from the Toronto Star. If articles were written about Christians, gays, black people or Muslims with the same hate, the same lack of respect for facts, there would be revolution in the streets. But the Jews? I just posted this article about Neil Macdonald and the CBC with my complaint to the ombudsman. Now I am sharing with you the complaint that I sent to the Toronto Star regarding their piece on the Toronto Imam who was accused of hate preaching against the Jews. The purpose of the article was to rehabilitate the Imam and vilify three Jews while elevating Bernie Farber-a man I call an Uncle Tom Jew. Ayman Elkasrawy’s controversial prayers sparked outrage and condemnation from many, including members of his own faith. In the aftermath, he reached out to the Jewish community to educate himself and learn from his mistakes. Still, a key question remained unanswered: did he really say what he was accused of saying? By JENNIFER YANG Identity and Inequality Reporter. The story about the Imam and his apology is beneath contempt. That you chose to speak to Bernie Farber who does not in any way shape or form speak for the Jewish community is even more despicable. This is a man who makes a difference between antisemitism and anti-Zionism. There is no difference except in his mind and the mind of antisemites around the world. And there are many Jews in this world today who prefer to be liked by Liberal media than stand up for the Jewish people. Reminds me of Germany pre-Holocaust. It should remind you,too. The prayer he says and the supplications that come with it are said around the world by Imams everywhere. If you a setting the entire story on the translation of a word-filth or desecate-what difference does it make? It speaks to an intolerant view of the Jews from Islam in this country. If a Jew had said anything like this about a Muslim, the Toronto Star would be all over the Jew. May I also add that the attempt to besmirch Jonathan Halevi and portray Mordechai Kedar in a negative light do not speak well of the Star. I see that your Arab experts-aren’t. Here’s a link to one of my articles that contains the teachings of Omar Subedar, part of the interfaith group in Peel. The prayer, the Al Fatiha is in and of itself intolerant of Jews and Christians. That an Imam in Toronto or around the world would refer to Jews as filth is not a leap. As a matter of fact Honest Reporting has included links to many Imams who call for the death of my people. And let us never forget Elias Hazineh who called for the death of Jews in Jerusalem from the grass of Queen’s Park. Seems your reporters missed it. Perhaps the time has come for writers and editors at the Toronto Star to take some diversity training. Dear Readers; We can make a difference. We must make a difference. Never be too busy to send a complaint or wrote a letter to the editor.